Thiruvananthapuram, Feb 9 : V.M. 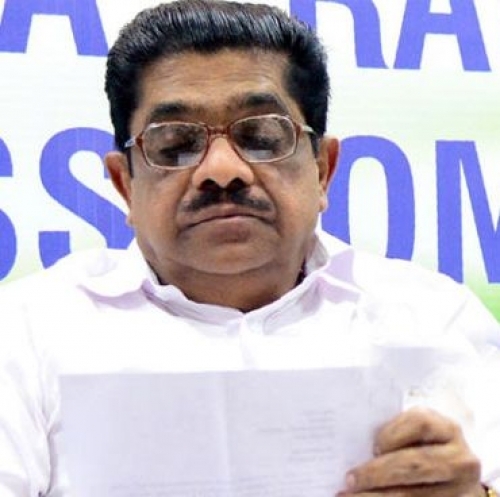 Sudheeran, a veteran Congress leader and former party President in Kerala, said on Saturday that he will not be running in the coming Lok Sabha polls. Speaking to IANS, Sudheeran said that even when the party high command in 2009 asked him to contest, he did not. "I feel it's high time that new faces, especially the youth, should be given more importance. I have had a very long innings in public life and have contested several elections," he said. Sudheeran, 70, entered politics through the Congress-backed students unit and over the years he was a four-term Lok Sabha member and also a legislator an equal number of times. Dismissing media reports that he was asked to meet Congress President Rahul Gandhi on Sunday, the veteran leader said: "I am going to Delhi, but not tomorrow (Sunday). It's pretty cold there now." In the 2004 Lok Sabha polls, Sudheeran lost to a political novice by 1,009 votes. In 2014, he was named the new Congress state President. But he resigned in 2017.